Cold sores, also known as fever blisters, are caused by the herpes simplex virus (HV-1). Once you have the virus, it remains in your body permanently and can pop up every now and again. Cold sores are very contagious, so if you don’t currently get them, you should be protective of your lips (and bits) around those with an active infection. If you are someone that gets cold sores, then you know they can put a damper on your love life. The good news is that there are things you can do from a nutritional standpoint to minimize and manage flare-ups. In this episode of S&STV, we discuss how to keep your lips kissable at all times. 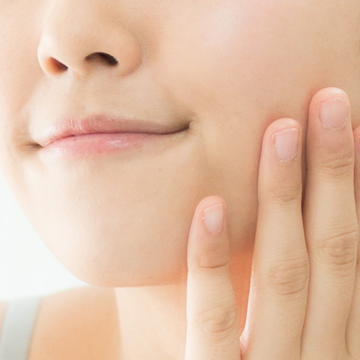 If I take L-lysine, should it be taken on an ongoing basis or only when I can tell a cold sore is on its way? Terry most people only usually need to take it when they start feeling the first signs of a cold sore coming. If you recognize a pattern that it comes when you get run down or stressed though, I recommend taking it preventatively until that time period has passed. You should also avoid all those foods we mention too. Hope that helps! you need to really be careful about how you communicate about HSV-1 and 2. HSV-1 can also be genital in nature. so the “don’t worry” comment, i.e., you have cold sores but not genital herpes, phew!” is not only not factual but promotes that general societal attitude that you won’t be judged if you get cold sores but OMG genital herpes ew!! Sorry you feel this way Mel. I think you misunderstood our intentions with this video. We were merely delineating between the two, and providing that information as context as most people simply don’t know the source of cold sores. It’s important that people know the difference from a treatment perspective regardless of societal perceptions. We keep our videos very focused on one topic in order to keep them short, and cold sores were the strict topic of this video.